Today the sun shone on the athletes as they completed the Windermere Triathlon at Brathay Hall – in memory of Matt Campbell after he tragically died at this year’s London Marathon. Our thoughts and deepest sympathies are with Matt’s family and close friends. 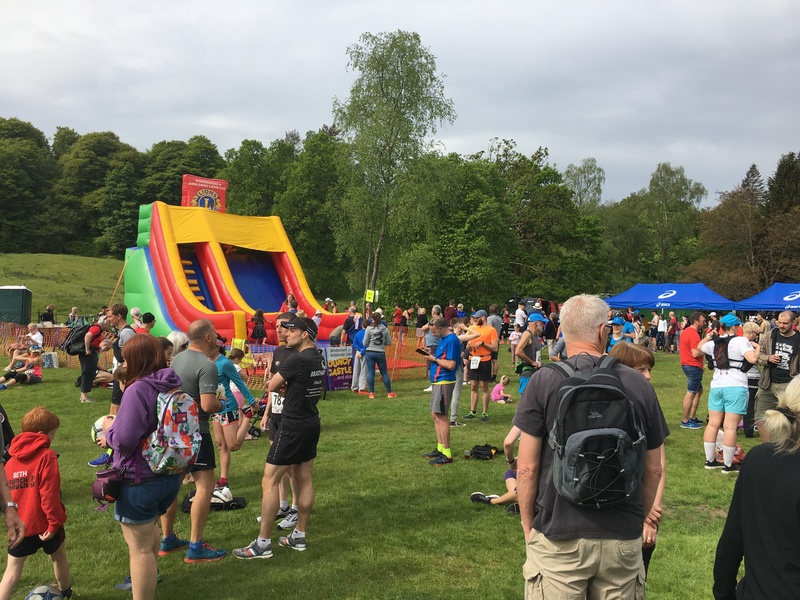 Hundreds of athletes plus their families and friends turned out today – and the Windermere & Ambleside Lions Clubs were there with their bouncy castle to entertain the children (and some of the adults!). Well done to all that took part in the marathon today – you are all inspiring athletes!